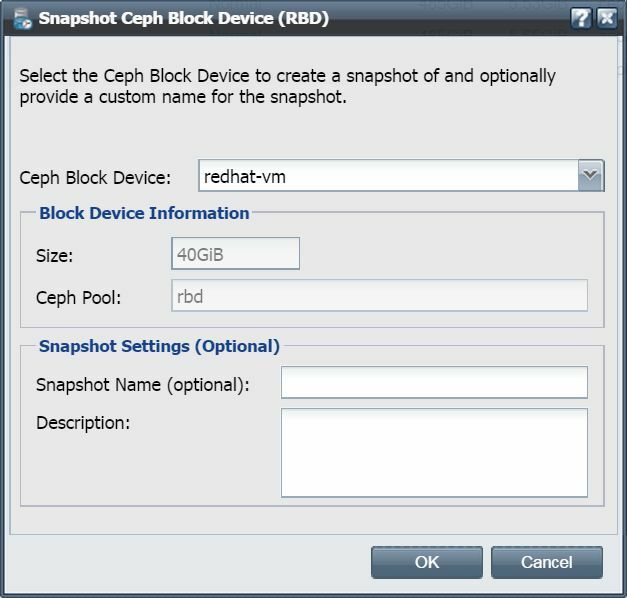 Creates an instant snapshot of the specified Ceph block device. When creating a snapshot QuantaStor does both a Ceph snapshot and a Ceph instant clone operation at the lower level so that the resulting snapshot Storage Volume is writable. This page was last modified on 25 March 2016, at 11:27.